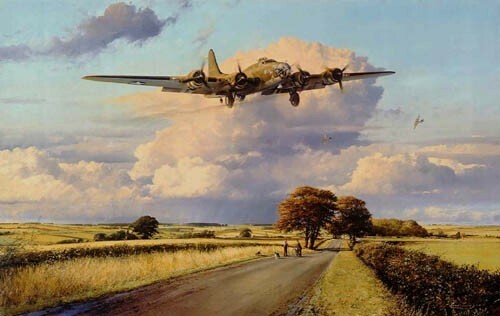 There can be few more stirring sights than a B-17 Flying Fortress coming home after a long and arduous daylight mission over occupied Europe, and Robert Taylor’s inspired painting Return of the Belle has come to symbolise the huge role played by the bombers of the U.S. Eighth Air Force in Europe during World War II. 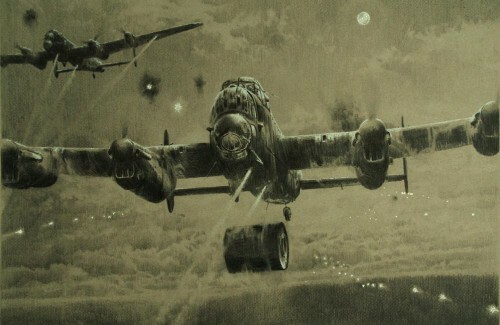 The famous Memphis Belle, skippered by Captain Bob Morgan, became the first B-17 in the 91st Bomb Group to complete 25 missions, and returned home to the US with a crew that had been decorated more than 50 times. 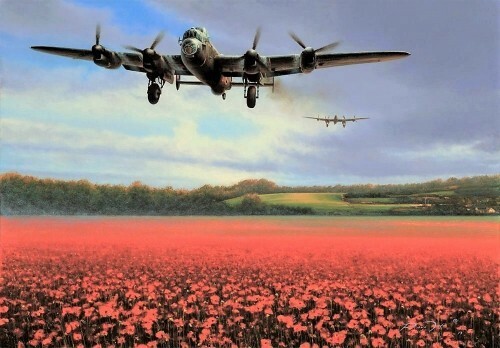 Set in gentle Cambridgeshire countryside, Robert Taylor gives us an engaging view of the Memphis Belle as she returns from one of her early missions on a late autumn day in 1942. 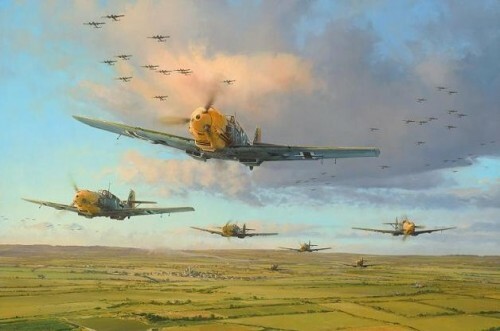 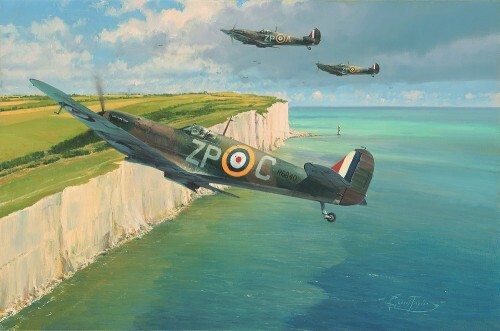 It was a typical scene that would be re-enacted across countless airfields in England as the heroic airmen of the Mighty Eighth Air Force fought with unstinting sacrifice for the liberation of Europe and the free world.